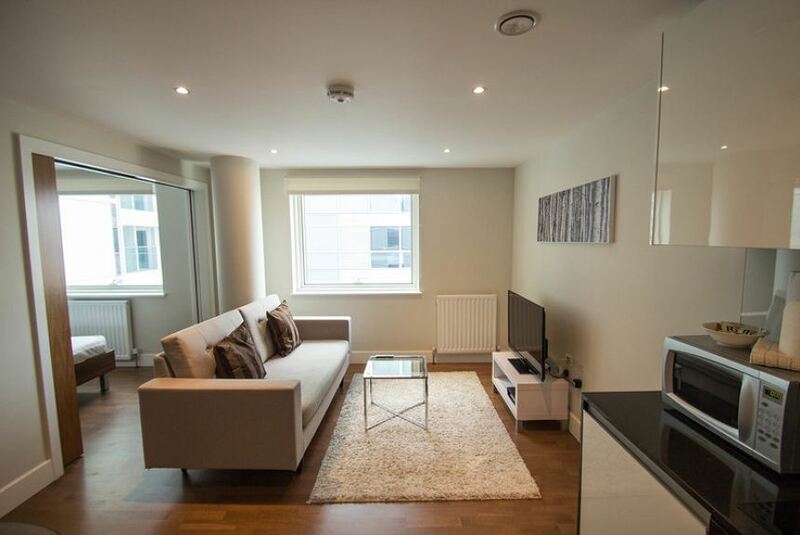 These superb studio, one and two bedroom serviced apartments are ideally located in the vibrant heart of East London. Ideal for leisure and business travellers. All of the apartments within this development have been finished to an exceptionally high standard. Soft spot-lighting, creamy wooden floors and floor-to-ceiling windows and a Juliette balcony create a fresh and contemporary home-from-home for all travellers. The elegant kitchen and bathroom suites add to the apartments’ fantastic appeal. The cool and complete open-plan living area comes furnished with a table, sofa and wall-mounted double bed. Nestled between the City and one of London’s quirkiest quarters, these lifestyle apartments are in the perfect location to get the most from your visit.